There are a lot of choices for testing documentation tools and most teams pick Excel as a place to get started while management sorts through the options. Once this occurs, the search inadvertently gets resolved because, well, Excel is free and readily available — so the test team works away, creating more documentation every day. Soon the small experiment of using Excel for testing documentation, tracking and management just to see how things will work out turns into an integral business process to delivering software. Eventually the team just feels stuck and at this point the team is now in Excel Hell. Many will say that moving to a new tool seems like a painful exercise regardless of how much ‘Hell’ spreadsheets are causing and a common fear is that the forklift of change will fail under the burden of all the existing process and documents. 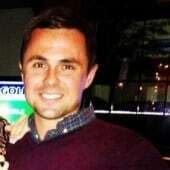 Regardless of how painful, the reality is moving from Excel to a test case management tool will provide a plethora of benefits to the team and the organization as a whole. 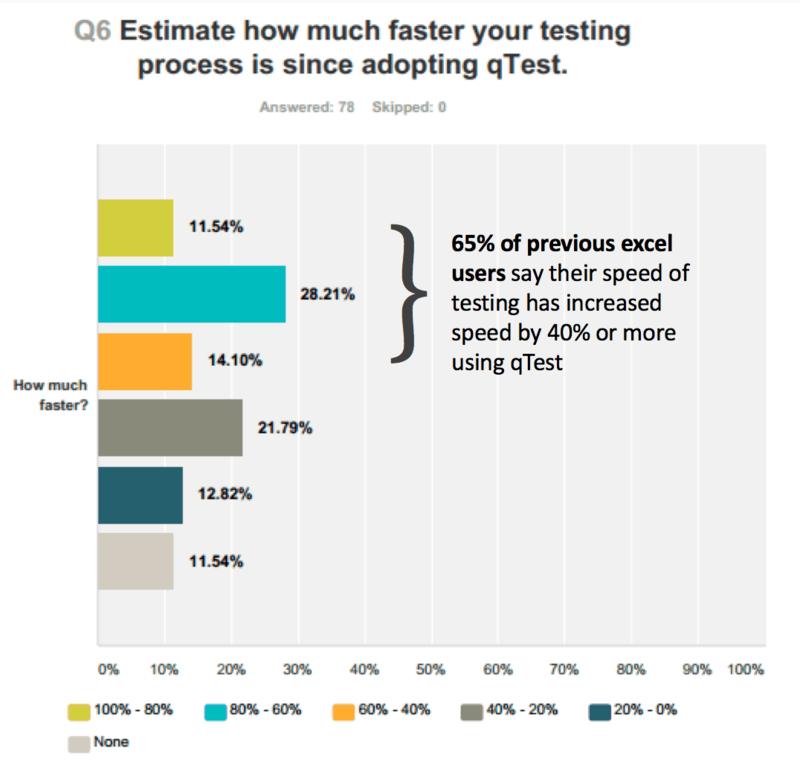 To better understand the benefits qTest provides to testing teams, we surveyed hundreds of customers and came back with some interesting insights. 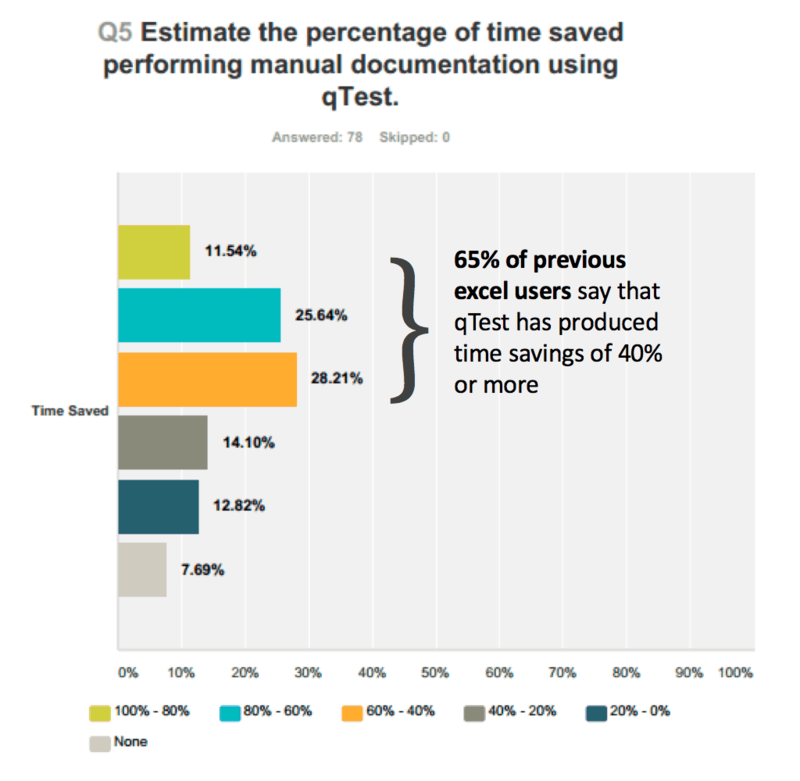 We found that testing teams who were using spreadsheets before migrating to qTest saw clear improvements and benefits in 4 key areas; Efficiency, Visibility, Speed of Testing and Time Savings. 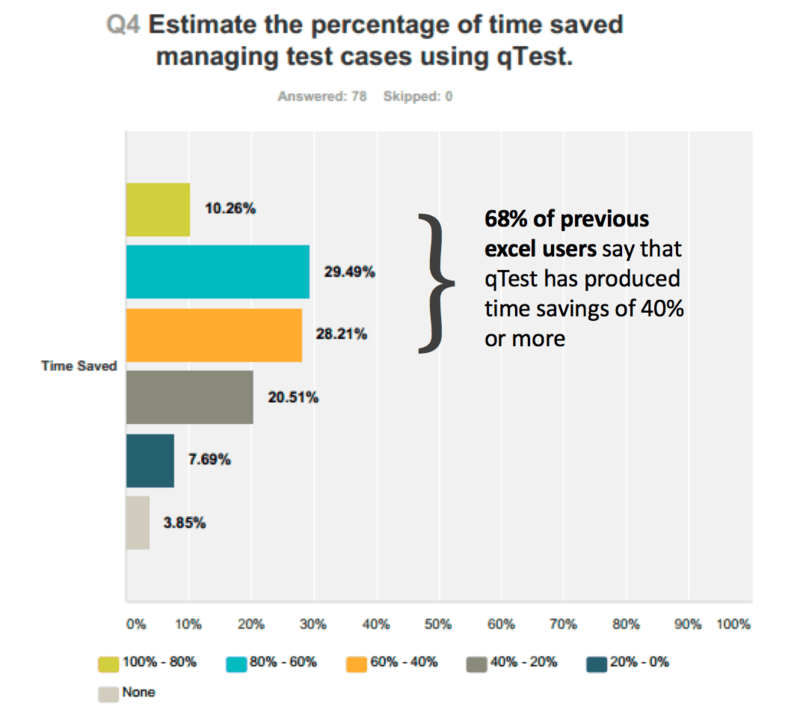 Let’s take a look at some data, the benefits from moving from Excel to a test case management tool; qTest. 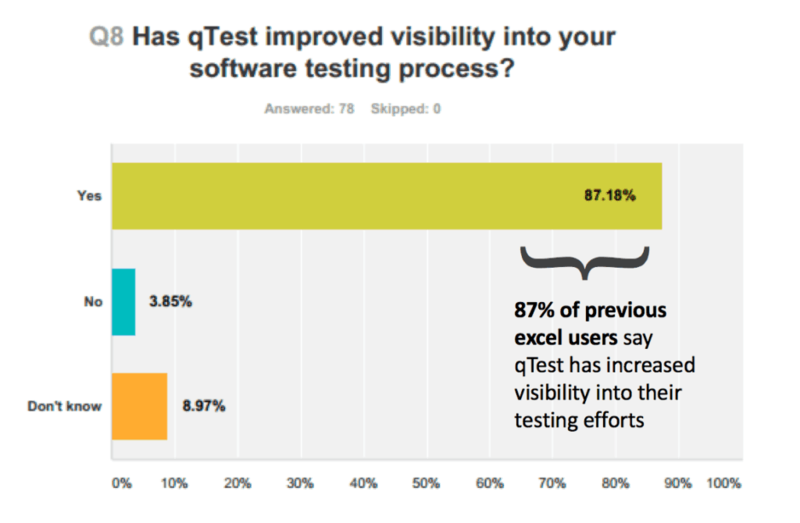 Clearly, teams that have moved from Excel to qTest have seen positive results around aspects of their testing programs. 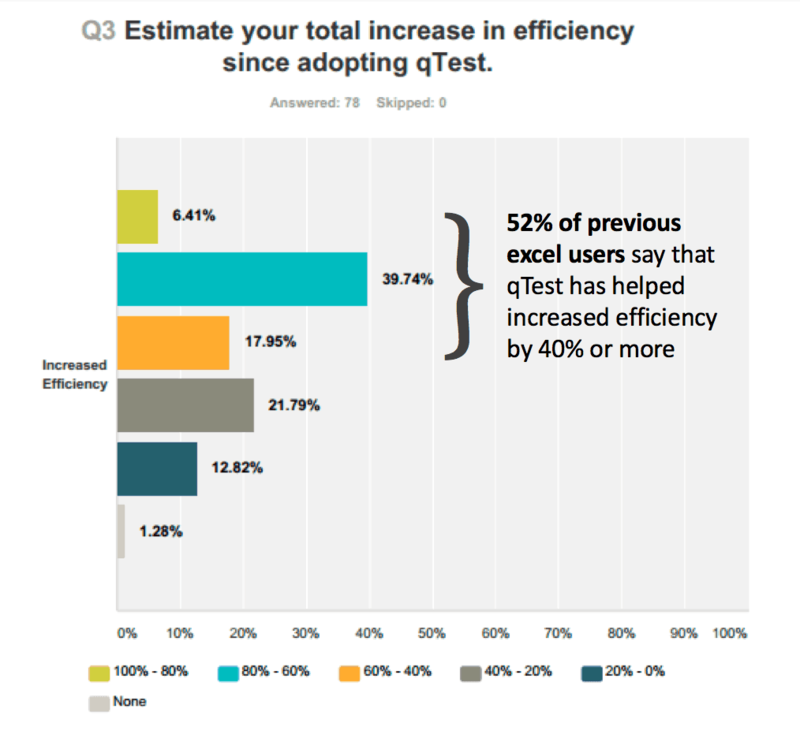 See the full survey results here and learn more about how your team can get out of Excel Hell.